Even prior to the start of this blog, I was an antique store going, thrift store searching, flea market frequenting, yard sale loving girlie. Which means I have tons of goodies sitting around which you have never saw. Hence, I bring you the second Untold Tale - to highlight some of my best pre-blog finds. 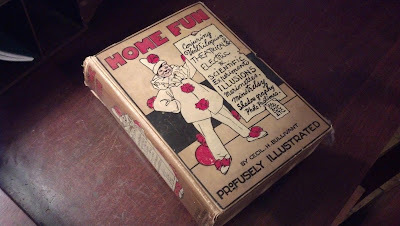 Home Fun by Cecil H Bullivant is a rather unique book, at least I've never saw anything quite like it. Published in 1910, it is basically a big old book of things to do - which comes in handy on those stormy no-electric days. 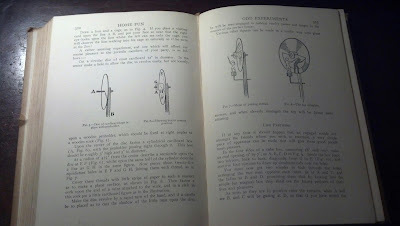 Some of those surprised me to find in an older book when I initially purchased it. As a note: "Vamping Simplified" was also originally featured in the table of contents - however the prior owners tore that one out. I wanted to invite you to join in my thrifted link up. Thanks Wendy! I'll have to head on over and check it out!